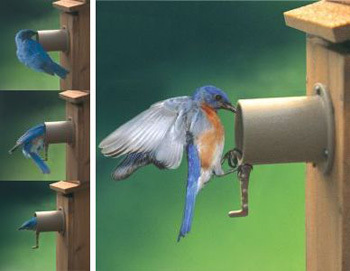 The unique and cleverly designed Bird Guardian Birdhouse Tunnel took years to perfect and is the only product available that protects eggs, baby birds and even the adult bird from both ground and airborne attacks. The length and circumference of the tunnel was perfected by naturalists and ornithologists. 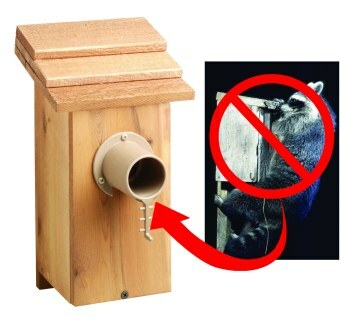 Prevents predatory mammals and birds from reaching into the birdhouse and destroying the nest and occupants. 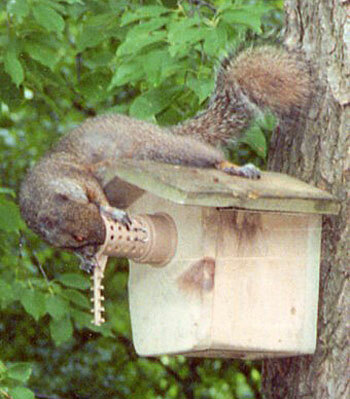 The Bird Guardian is easily attached to the front of the nest box. This well engineered product will prevent squirrels, raccoons, opossum and cats from bending their arms to reach the resident birds. 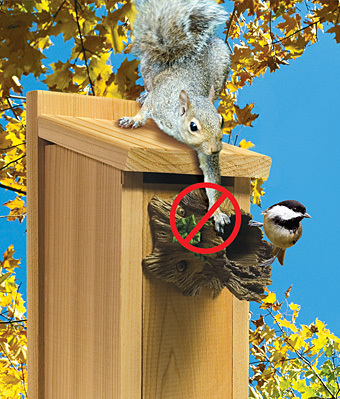 Crows, bluejays, grackles and others have no room to get their shoulders in your nest box! The Bird Guardian has a patented tail-brace that allows the bird easy access. Perches are NOT recommended. Protect bluebirds and other native species from starlings, House Sparrows, grackles, cats, owls, hawks and other predators. Protection is provided with the Guardian throughout the nesting season starting in spring and with some species of birds nesting 2 and 3 times, going well into fall. 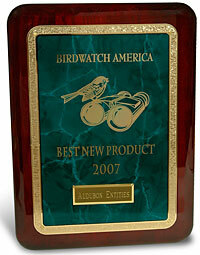 Protection is provided throughout winter as many birds group together in your birdhouse at night for mutual warmth. Download our colorful and informative brochure in PDF format.